During the slideshow right and bottom scrollbars are diplayed. The right arrow is truncated. Screenshot is attached. Problem is back for the exact same iso release with the exact same computer... Then I tried to move the ubiquity window from a corner and scrollbars disappeared. 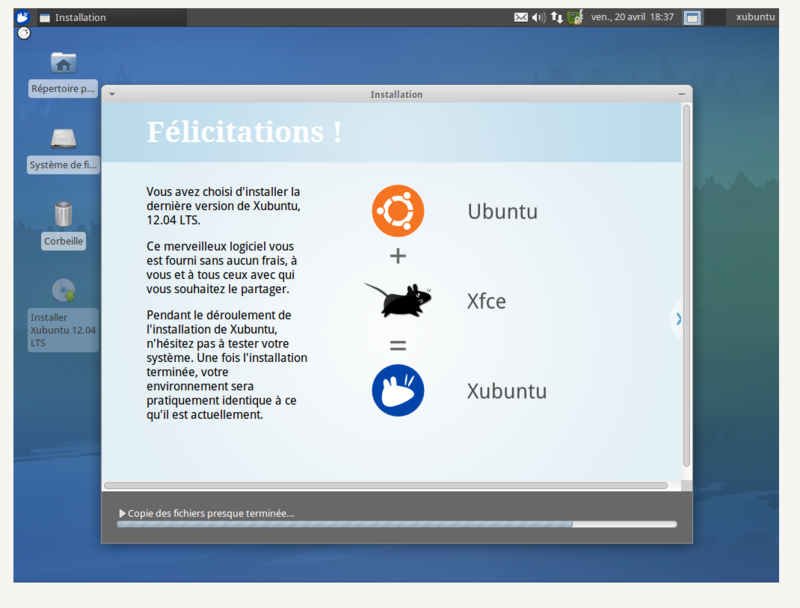 Does this still happen with the new Xubuntu slideshow style? 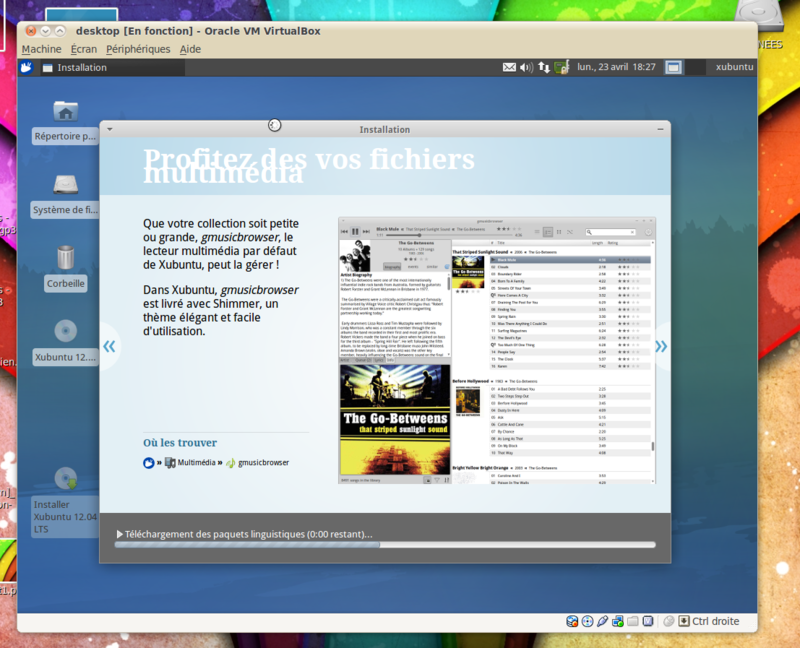 Me to with Xubuntu 14.04 running on my laptop with a screen resolution of 1280x768. Linking a branch that should in theory fix this bug. 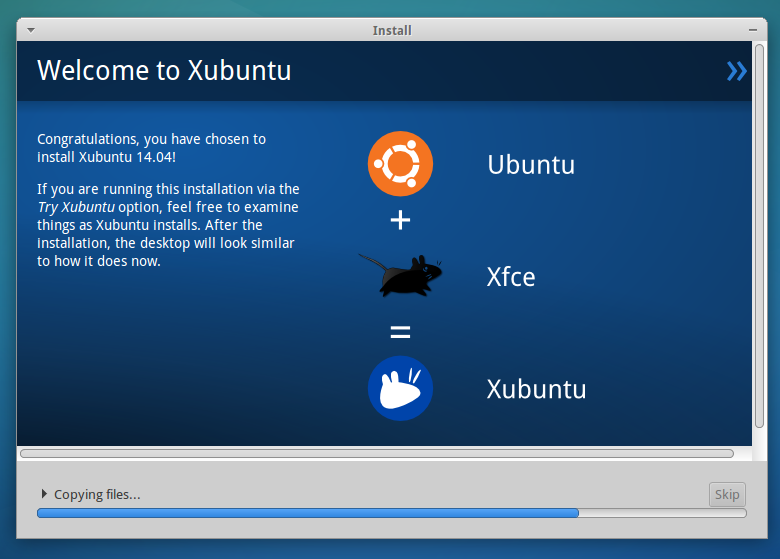 I just reinstalled Xubuntu on the same laptop and the scrollbars didnt show up, so i'm assuming something that i opened during the last time i was testing the live cd before starting the installation must be causing this issue.